How much is my sg zoot suit worth? Discussion in 'Gibson SG' started by Nason, Jun 21, 2013. This was a limited edition 2009 gibson and im wondering what its worth now and what it will be worth in a few years. Mine is black and natural. Thanks. I give you $250, if you pay the shipping. I dislike people coming here for an appraisal and in this case, without even a picture . If you're a collector, your insurance agent should know an appraiser. Edit: Looks like one sold in SF last month for $825, with gigbag and original goodies. Wait 25 years and you might double your money. That should get you on your way. 58pit, njpaulc and unklcrispy like this. koaguilds and michaelinokc like this. Thanks. I love my zoot suit. Its beautiful in my opinion and in mint condition. I dont plan on selling it, just was curious, and i havnt seen any eBay sellers recently either. 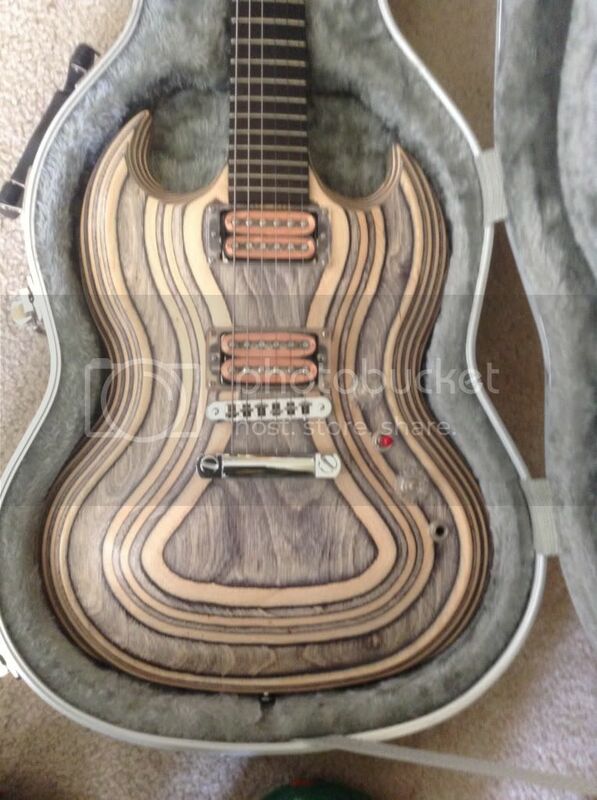 Here's a link Gibson.com: Gibson SG Zoot Suit mine is the black/natural. I like these, even (maybe especially) the rainbow ones. For any pics? Welcome to ETSG, Nason. I think you picked the best of the breed in getting the Black and White one, that's the one that appealed most to me. Guitarists can be a conservative lot when it comes to changes in well-loved traditions. But the idea of an SG as a 'tradition' sounds honkie to me, SGs are supposed to be radical. Which yours is. people made fun of the Zooters when they came out, and they didn't sell. But they're still SFGs, and the fact that Gibson didn't make too many of them may make them worth something, but not for a number of years. You're right not to mod it, keep it factory and that will maintain its value. Watch for the Zoot Suit SG re-issue, then you'll know you're beginning to gain some 'commercial' mojo. I'm with Voxman when he says the best value placed on your SG is the value you give it yourself when you play it. The fact that you love your SG and don't mind saying so means that it's worth a lot... to you. If you try and sell it, it's only worth what someone else will pay for it. When you make music with it, the mojo is as magical as your ability, and your potential. So the value is up to you. I'm with you when you say you love your SG. That's the way I feel about my faded Special, I bought it in 2008 and am still head over heals with it. Let's see some photos. Sorry, fighting a summer cold and short of patience. Welcome, belatedly. Those Zoots are likely to be very collectible, like I said, in 25 years, so keep it as nice as you can, while enjoying it . Here's a couple of shots with my iPhone, sorry for the quality. Everything is stock, its heavy as a brick, but plays nice. grausch, Epiphan, Bettyboo and 3 others like this. Haha its fine. If i was a regular forum visited id get annoyed at appraisal threads too. 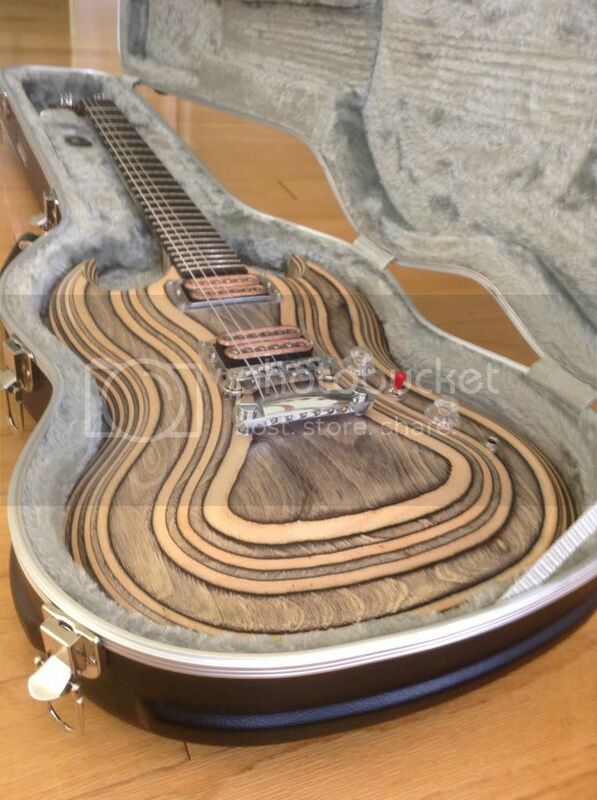 What an interesting guitar. Hang on to it! The market (eBay and other places) will tell you what it's worth, but predicting future worth is near impossible. Enjoy it! Holy shite! That is a stunning guitar brother. BTW, when you do buy a new guitar, it generally will go down in value the first seven years or so before it's starts climbing back up in price or value. I wouldn't worry about it too much because it will be a long while before you make any money on it if you plan to sell it. Besides that's a gorgeous looking piece of wood and this one you have is quite stunning. I've seen Zoot guitars before with multicolour stained wood. It's a great alternative look for an SG. SG's are not just limited to the same old boring red ones that you often see in NGD threads. Enjoy it and don't worry about the value and all that. It's actually a waste of time when you could spend that time doing more constructive things like playing the crap out of that Zoot! How about an Free Appraisal Thread ? Anybody think we're gonna hear from Nason again, unless he has another guitar to sell ? Maybe we should have a special thread just for the folks who want to know how much we'd pay for their guitar, where we'd be free to tell them anything at all, of course. In this case, I hate it when I'm right and my first offer stands. drown, Saintjonah and sneakerpimp like this. Why do people assume that if something was produced in limited numbers or no longer in production that its automatically appreciated and worth more. Most guitars go down in value, the stuff that jumps up is near impossible to predict which is why we aren't all getting rich off our GAS purchases. PermissionToLand, Saintjonah, shreddy bender and 2 others like this. i agree with tattooed carrot but still wish i had a zooter. when they first came out i thought how cool! it's birch ply so it should sound like a drum or a marshall speaker cab! how cool is that? I personally really like hanging out here, but surely not everybody does. When I got my first SG, I feel like it changed my life. I was hoping it would, since my live was pretty far down the tubes at that point. It did, and I've gone ahead of where I was and become a better player and added to my collection wisely, and made some friends. Aye-ommie, or is it Yommie?" Compassionate ETSG member> "I think it's Aye-ommie. Don't worry about it." *laughs... That's part of what keeps me coming back here. This is the first post concerning a Zoot Suit SG that I've seen in a long time. I was wondering where they all were. Now I wonder what this one sounds like, and how heavy it is, and what it looks like with an achingly lovely lady playing it. Bettyboo, Kris Ford, Saintjonah and 1 other person like this. thanx col. that's what's needed... the love! we all love SG's and we all seem to be good quality human folk! i fell in love with the zoot suit when i first saw it on the gibson website. about the same time as the raw power came out. it was like a prelude to the raids. where are the zooters and the raw powers? don't be ashamed step on up! pictures please!!!!!!! That's a lot of love on a forum that's all about a guitar THAT LOOKS LIKE THE DEVIL!!! drown, Col Mustard and thatbastarddon like this. about her. She's named Luna for the crescent moon shapes she's got for cutaways. and we could have an appraisal thread, but I don't think it should be free. That's what they charge at Elderly Instruments, near where I live. That Zooter now, that's the Devil's guitar for sure. Hot pickups, zany pattern, built like a tank. They're not for everyone, but that's why they make the red ones.